20 | Student | Beauty obssessive. For the month of May I attempted not to buy anything. I failed on the first day and bought the beautiful Tartelette In Bloom Palette because Tarte had a free UK shipping event on. While being disappointed in my total lack of self control, I'm so glad I did it because this palette has quickly become my new favourite! The shades in it are absolutely stunning, well pigmented and easily blendable. 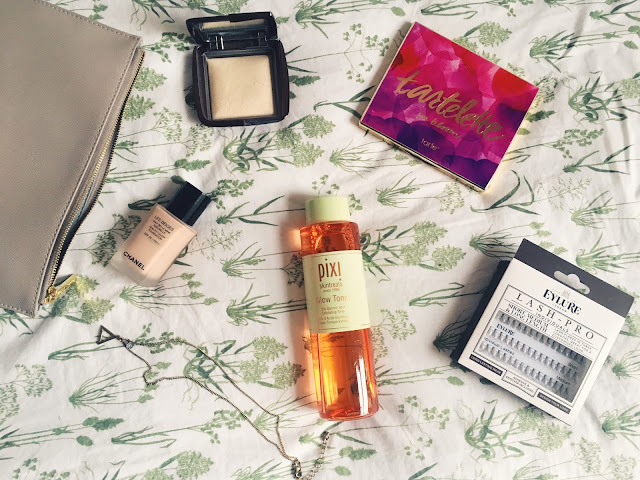 Exam stress has caused my skin to turn against me, with a combinations of dryness, 2oiliness, dehydration and spots. Amazing. However, adding Pixi Glow Tonic into my skin care routine again has helped massively. Glycolic Acid is amazing for exfoliating, and the biggest difference I find from using this product is the reduction of those little bump I get on my forehead. I don't know if they're spots or what, but Glow Tonic has definitely helped to reduce the number of them whilst also minimising their appearance. 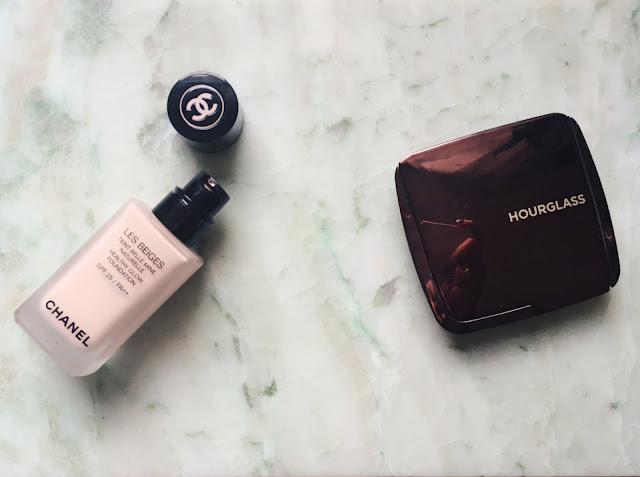 HOURGLASS Ambient Lighting Powder is a popular product and it is definitely worth the hype. I have it in Diffused Light, which is the perfect shade for my skin tone. I use it all over as a finishing touch and love the effect it gives me skin, which is a kind-of soft-focused glow. It's definitely on the pricier side at £40, but I can see this lasting me absolutely ages as you get so much product in the compact. To me, it's 100% worth it. A product that I've not seen anyone talking about is the Chanel Les Beiges foundation, which surprises me because it's such a beautiful foundation. The coverage is buildable, from a medium to full and leaves a natural, radiant finish to the skin that isn't shiny whatsoever. I feel as though I look like I've had the best night's sleep and been eating all my vegetables when I wear this! Also, the scent is delicious and won me over completely. Annoyingly, this foundation is becoming slightly too pale for as my skin becomes more tanned for summer! Working for Estee Lauder, I hear there's a new foundation coming out that sounds amazing so you will definitely be getting a review on that from me! Lastly, a final and unexpected favourite for me is individual lashes! Obviously exam stress has not been great for my mental well-being, but taking some time to make myself feel good has been a great pick me up. I find that individual lashes are so much easier to apply than strip lashes, and result in a much more natural look with minimum effort. The short length Eylure Individual Lashes are the perfect length for me to just apply a few or as many as I want and for great results! These are the perfect little confidence boost for days when you need it! What are some of your favourites at the moment? Hello! My name is Mia and I'm a student in Bath. I spend most of my time faffing about with make-up and skin-care products and the rest sleeping to avoid doing any actual work.